Perhaps it was because of the copious amount of girls toys that existed when I was born in the 1980s (Barbies, Strawberry Shortcake, Rainbow Brite, Lady Lovelylocks, Gem, and Cabbage patch dolls, to name but a few! 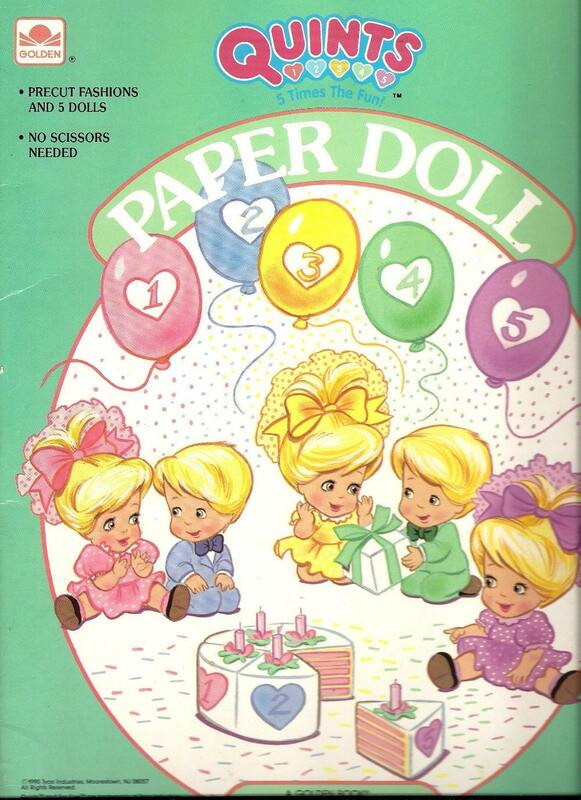 ), but I don't remember having very many paper dolls to play with (excluding one fun little book of Quints paper dolls that I was given around the time my little sister was born) as I was growing up. I don't feel that I was toy deprived or that I missed out on anything major by not having a toy chest full of paper dolls, but I have I thought a few times that it might have been cool to have had more of these lovely classic paper toys to play with. Maybe that's why when I spot a vintage set of paper dolls online, my eyes light up. And goodness did they shine like Christmas lights when I spied this fantastically pretty page (in Charm and Poise's great Flickr stream) with its real photograph cut-out woman and collection of five beautiful aprons that first appeared in the July 1953 edition of Everywoman's Magazine. Designed so that the home seamstress of the day could trim out the figure and each of the aprons to help her decide which style she liked best and might want to make for herself, this innovative idea is so fun, I can't believe it didn't catch on more. These splendidly pretty vintage paper dolls are both practical and enjoyable. I imagine that after many women of the day used them for their own sewing purposes, they handed them down to their daughters to play with. I adore the idea of paper dolls geared towards women and would love to see a magazine today copy this clever idea. Of the aprons featured here, I think the pink full length number with white rickrack and the cute butterfly print one are my very favourite, but each one is thoroughly lovely and would be a joy to sew and wear with vintage outfits today (note: I don't think the poster of this image shared the sewing patterns, but you may be able to find a copy of the July 1953 copy of Everywoman's Magazine on eBay, etsy or at a second hand shop). I hope you enjoyed seeing this delightful vintage paper doll page as much as I did, and that it reminded you of happy memories of days spent playing -whether as a child or a grown-up - with this timeless toy. You know, I was sooo born in the wrong decade! I love everything you've been sharing here. Thank you for your generous heart! I wish I could comment more often. SO. CUTE. I love that they're actual photos and not illustrations! Good job with the scan, thanks!